Jane Yellowrock is the last Cherokee Skinwalker, two souls inhabit her body, her own and the soul of a mountain lion named Beast. Jane can not only take the form of a mountain lion, but when she is in human form Beast lends to Jane her strength, agility, speed and predatory senses...and the occasional piece of unwanted advice on mating. When her oldest and dearest friend, Molly vanishes on her way to visit her, it's up to Jane to find and rescue her. But as her job as the enforcer for master vampire Leo Pellissier demands even more of her time, not to mention the confusing scents of unknown witches and vampires showing up all over the city and an old enemy trying to kill her, it's proving difficult to keep all the balls in the air. With time running out an Molly possibly being used to power evil blood magic, magic which always demands a life, Jane is in a race against save her. 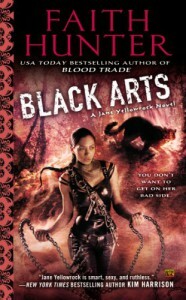 Black Arts is book seven in the Jane Yellowrock series but in a lot of ways it feels like a beginning. 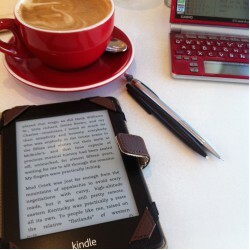 A lot of things that have been bubbling away over the last few books are resolved, for both good and bad. It's also the best book in the series since book one, Skinwalker in my opinion. This book has left me feeling good about the future of the series and excited to continue. Many thanks to Berkley and Netgalley for providing me with this ARC.